Installing your marine audio system doesn’t have to be a daunting or difficult task. With some prior DIY knowledge and the following tips, you will be able to fit your new marine custom installation without too much hassle. 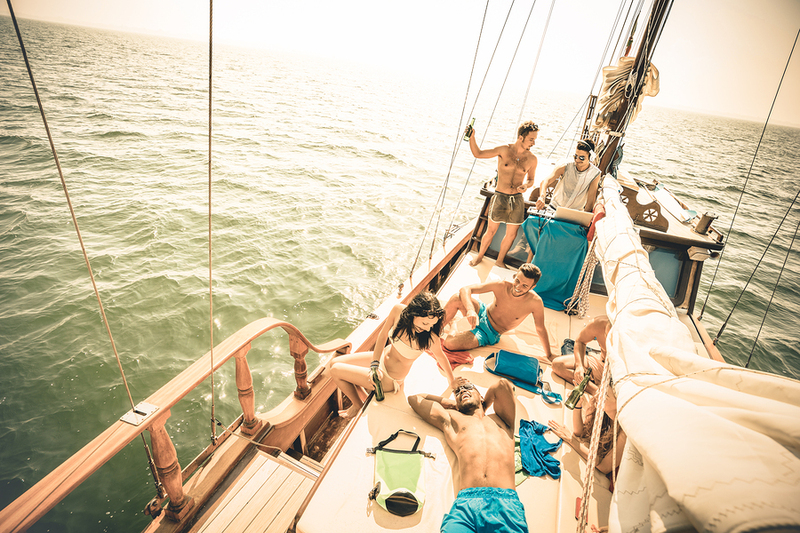 Read on for some smart DIY tips to get your boat ready for music and entertainment. The first thing that most of us think about is where and how to install our stereo receiver or head unit. Most modern boats already have a stock stereo, so you should already have a place to mount your new stereo. Although you should have a place to mount your new stereo, you will probably need to cut a mounting plate to ensure your head unit can fit securely in place. Before you start cutting this, make sure you check your instruction booklet or box, as many marine stereos will include a paper template for cutting a mounting plate. Alternatively, you can try searching online by typing in the name and model of your stereo and the words: mounting plate template. Once you have found the appropriate template all you need to do is cut and mount your stereo. When mounting the stereo it is important to position it horizontally and not to tilt it more than 20 degrees to ensure the units anti-skip protection works effectively. Once you’ve installed your stereo receiver you will need to install your speakers. To maximize sound quality, choose the best places of your boat for acoustics and use the right type of wiring. Positioning your speakers is extremely important and can make a noticeable difference in perceived quality. Grouping your speakers into pairs is important. The most effective way to do this is to mount the speakers opposite each other and pointing toward your ears in a downward direction. Once you have chosen an appropriate place you need to make sure the back of the speaker is in an enclosed space. If the back is exposed this will negatively affect the bass response of the speaker and you will hear a flat, uninteresting range of sound. Also, make sure your speakers are mounted in areas that are well-protected from weather and splash back. Avoid places like the splash well of your boat, or low places on your boat. Finally, make sure you do not mount your speakers near sensitive electrical equipment like your boat’s compass or navigation equipment because speakers contain strong magnets, which could interfere with your boats navigation system. Refer to the instruction manual that comes with your speakers to check for safe mounting distances. Copper is used for speaker wiring and is particularly vulnerable to corrosion when exposed to water and air. Regular speaker wire should offer good protection, but it must be intact end-to-end. When connecting speaker wire together, or to a terminal (speaker or receiver) it is easy to break the seal of the wire. To avoid this problem, you can use liquid electrical tape to seal any connections. As an extra precaution, also use single core speaker cable. Regular speaker cable uses a braided wire, which allows more air to circulate the wire. As your boat is more exposed to air and seawater, this might cause your speaker wire to corrode more quickly. You can try searching your local hardware for single-core copper wire or use doorbell wire, which is usually single-core. Another important thing to consider is matching the positive and negative terminals together. This means the positive connection of your speaker must connect to the positive input on your receiver. If you don’t do this you will wire your speakers out of phase, which causes some loss of bass and low sounds. If you use single core copper wiring then this will not be a problem as you’ll have a separate wire for each terminal, but a braided speaker wire could cause a problem. The easiest way to check this is to connect the speaker wire to your speakers then touch the positive terminal of an AA or AAA battery with the other end. If the wire connected to the battery is positive, your speaker cone will move or flex outwards. Following these steps will help you with your new custom marine audio installation and ensure your sound system is fitted safely and securely. Consider hiring a specialist if you’re unable to effectively install your new marine audio system.